DULLES, Va.Mar. 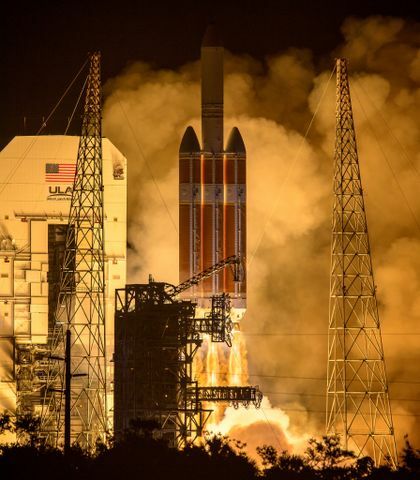 20, 2017-- Orbital ATK (NYSE:OA), a global leader in aerospace and defense technologies, provided propulsion, composite and spacecraft technologies to enable the successful launch of both the United Launch Alliance (ULA) Delta IV rocket and the ninth Wideband Global SATCOM (WGS-9) satellite that was launched yesterday from Cape Canaveral Air Force Station, Florida. Orbital ATK s is proud to contribute a number of key technologies to ULA s Delta IV launch vehicle, said Scott Lehr, President of Orbital ATK s Flight Systems Group. A launch like this one clearly demonstrates the breadth of our product lines in the launch and satellite sectors. Both the satellite and Delta IV launch vehicle use cutting-edge technologies from multiple Orbital ATK facilities. For the WGS-9 satellite, Orbital ATK produced both loop heat pipes and standard heat pipes, which provide payload, spacecraft bus and battery thermal management, at its Beltsville, Maryland, facility. Additionally, Orbital ATK manufactured the payload pallet boom tubes at its Magna, Utah, location and the payload module at its San Diego, California, site. For the Delta IV rocket, Orbital ATK provided four 60-inch diameter Graphite Epoxy Motors (GEM-60). The 53-foot-long solid rocket boosters burned for 90 seconds and provided more than 1.1 million pounds of thrust, more than the combined thrust of four 747 jet aircraft. 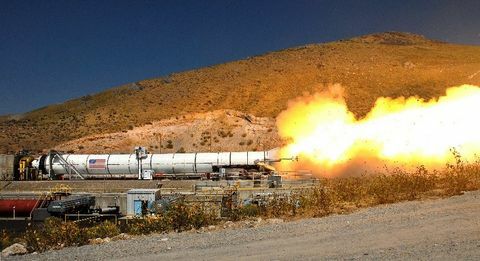 Orbital ATK produced the solid rocket motors at its Magna, Utah, facility, where it has manufactured 84 GEM-60s in support of the 36 Delta IV launches since the initial flight in 2002. 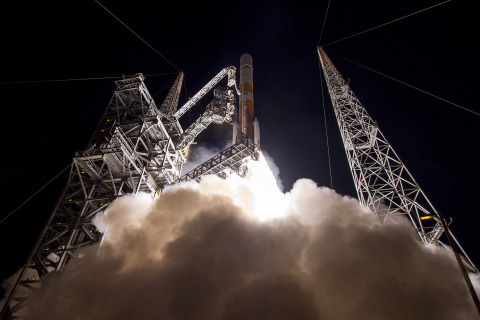 In addition to the GEM-60 propulsion, Orbital ATK supplied a combined eighteen Delta IV and GEM-60 key composite structures, which provide lower weight and higher performance. The largest composite structures are five meters in diameter, range from one to fourteen meters in length, and are produced using either advanced wet winding or hand layup, machining and inspection techniques at Orbital ATK s manufacturing facilities in Iuka, Mississippi, and Clearfield, Utah. Orbital ATK also manufactured the propellant tank for the Delta IV upper stage roll control system at the company s Commerce, California, facility, and it designed and manufactured the nozzles for Delta IV's RS-68A liquid engine and GEM-60 solid motors at its Promontory, Utah, facility. Orbital ATK also designed and produced the nozzle's thermal protection material, which is capable of shielding the nozzle from the extreme heat of launch, when external temperatures can exceed 4,000 degrees Fahrenheit. The WGS-9 satellite is part of a larger system that increases military communications capabilities for U.S. and allied forces deployed worldwide. 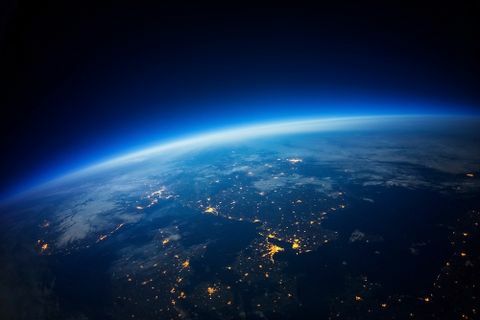 As the backbone of the U.S. military's global satellite communications, WGS provides flexible, high-capacity communications for the Nation's warfighters through procurement and operation of the satellite constellation and the associated control systems. WGS provides worldwide flexible, high data rate and long haul communications for marines, soldiers, sailors, airmen, the White House Communication Agency, the US State Department, international partners, and other special users.